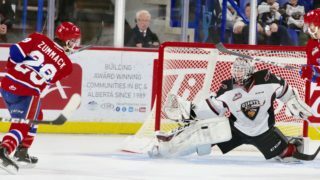 Last time the two teams faced off in post-season action was in the first round of the 2015 WHL Playoffs, where the Silvertips defeated the Chiefs in a 4-2 series. 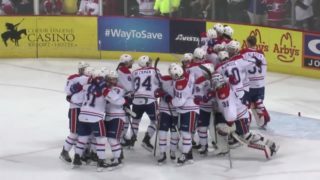 In their WHL history together, this was the third time Everett advanced over the Chiefs with Spokane’s only playoff series victory occurring in the 2008 WHL Playoffs–a first-round match-up–as the Chiefs went on to win the Memorial Cup. 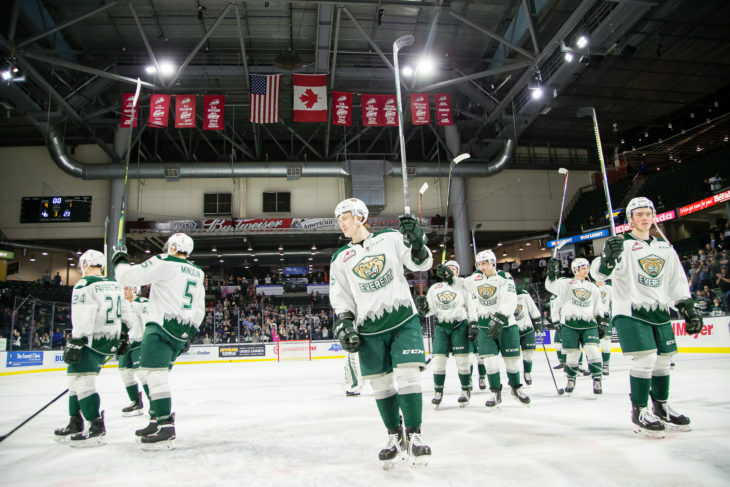 Heading into the second round of playoffs, Everett leads Spokane with a record of 6-0-1-1, giving the Silvertips a clear home-ice advantage as well as strong winning statistics over the Chiefs. But, don’t discount Spokane just yet. Their compete level is among the highest in the league and they are well-known for pushing teams into overtime or even a shootout with just a few minutes remaining in the game. 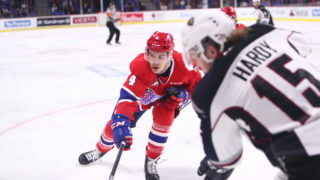 2019 NHL Draft prospects Luke Toporowski and Adam Beckman contributed strong performances in the Chiefs’ first-round playoff match-up against the Portland Winterhawks, finishing with five points each. 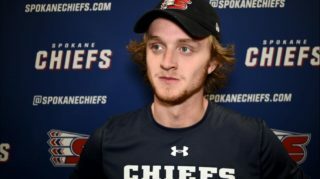 Combined with Riley Woods, co-captain Jaret Anderson-Dolan (Los Angeles Kings), rookie Jack Finley and Eli Zummack, the Chiefs’ offensive efforts were tough for Portland to beat. Strong additions on the blue line include co-captain Ty Smith (New Jersey Devils), Nolan Reid and Filip Kral (Toronto Maple Leafs) all of whom will be hungry to shut down Everett’s offense. The series will get underway at the Angel of the Winds Arena in Everett on Saturday, April 6 (7:05 p.m. PT) and continue with Game 2 Sunday, April 7 (4:05 p.m. PT). Games 3 and 4 will take place at Spokane Veterans Memorial Arena, beginning on Wednesday, April 9 (7:05 p.m. PT). 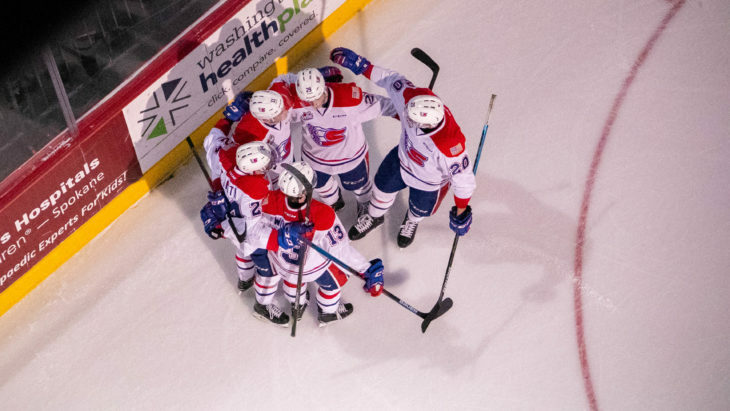 In regular season series against Everett, the Spokane Chiefs could easily spark a lead, but often relinquished it by letting the Silvertips score multiple goals in a row. In six out of the eight games between each other, the Silvertips went on a two-goal scoring streak or more, preventing the Chiefs from gaining momentum. 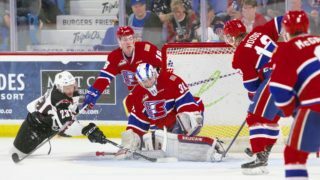 In one of their two wins, Spokane managed to spread out Everett’s goals by scoring in-between, as to not let the game get out of hand and it worked in the Chiefs’ favour. 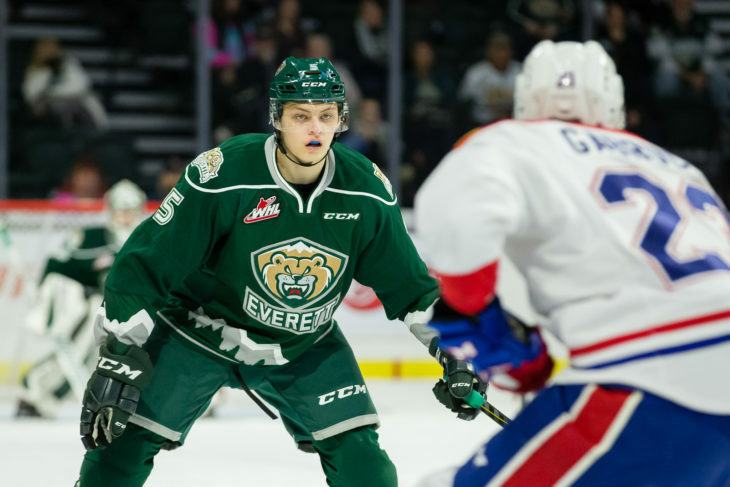 While shutting down Everett’s offensive group entirely may prove difficult, Spokane can disrupt the flow of Everett’s game by disrupting any Silvertips scoring streaks by contributing plenty of scores of their own. Adam Beckman (32-30 – 62): In his first season in the WHL, Adam Beckman has impressed. 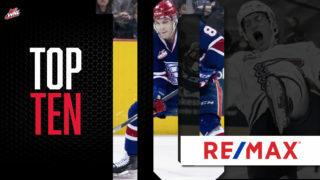 The recent Rookie of the Month for March 2019 capped off his regular season with two four-point performances and continued to aid his team in their success during the playoffs.